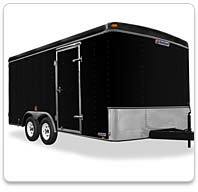 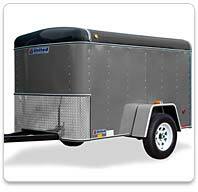 The Aerodynamic front cap, white spoke wheels, aluminum fenders and 24” tall aluminum stone guard give you a good looking trailer you can be proud of. 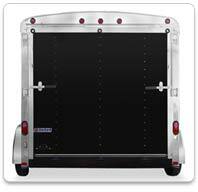 Some of the popular options include a ramp door, extra height, roof vents, heavy-duty D-rings, axle upgrades and stabilizer jacks. 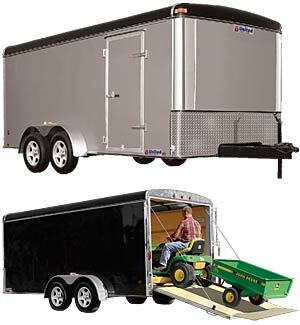 So whether your hauling junior off to college, the lawn tractor to the repair shop or some lumber home for your next building project, the Express Hauler is designed expressly for you!